better care of your customers' needs. Fusion Pro® Grout was specified at ORIA for stain proof and color perfect performance as part of a full CUSTOM tile installation system. 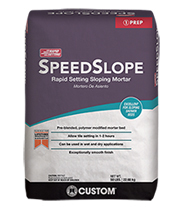 A rapid setting, rapid hardening, polymer-modified, pre-blended, cement based mortar bed and sloping mortar for leveling and ramping in confined areas such as trenches. 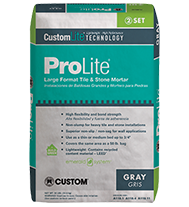 Offers high flexibility and bond strength in a lightweight formula with excellent handling characteristics for a wide variety of floor and wall tile installations. Excellent for setting large format tile or stone. 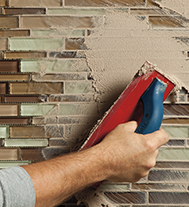 Discover this patent-pending, single-component grout solution. Ready-to-use. No mixing required. Includes Microban® brand antimicrobial protection to exceed your performance expectations. 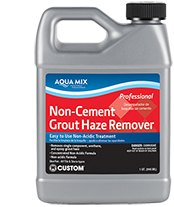 A safe cleaner that effectively removes Single Component®, premixed, urethane, and light epoxy grout haze from the face of most common tile and natural stone products. Use our convenient calculator to determine how much material you need for your project. To receive the latest news, developments, technical updates, innovative solutions, and unique projects.